Paul Beesemyer joined CHPC in 2000. As the Southern California Program Director he assists Southern California’s nonprofit housing community and public agencies in the areas of affordable housing finance, real estate development, preservation of at-risk housing, and general housing policy. His career in housing began in 1996 and since then he has conducted numerous seminars and trainings and authored several publications, including The Tax Credit Turns Fifteen, a risk analysis of California’s early Tax Credit portfolio. In addition, Paul has worked with the City of Los Angeles Housing Department to develop a comprehensive policy for the preservation of at-risk housing and has advised the City on the creation and implementation of a new preservation ordinance. Prior to joining CHPC, Paul developed affordable housing as senior project manager for the Los Angeles Community Design Center, where he managed affordable housing and community development projects serving families, seniors, and various special-needs populations. He is knowledgeable in the use of a wide range of community development financing tools, including Low Income Housing Tax Credits, tax-exempt bond financing, and a variety of public funding programs administered at the local, state, and Federal levels. Paul received a Bachelor of Arts in Landscape Architecture from the University of California, Berkeley. Julia Bennett joined CHPC in 2016. Prior to joining CHPC, Julia worked for eight years developing affordable housing communities throughout the San Francisco Bay Area. During her time at BRIDGE Housing and Related California Julia contributed to the development of nearly 1,000 affordable rental homes. 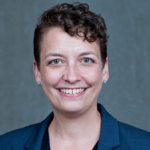 Julia has direct experience with a wide range of affordable housing finance tools including Low-Income Housing Tax Credits, tax-exempt bond financing, and a variety of public funding programs administered at the local, state, and federal levels. Julia brings expert knowledge in the use of project-based operating subsidies including project-based Section 8 and Rental Assistance Demonstration (RAD) vouchers. Julia earned a Master in Urban Planning, with a concentration in Real Estate Development from Harvard University’s Graduate School of Design and a Bachelor of Arts in Geography and Urban Studies, with High Honors, from the University of California, Berkeley. 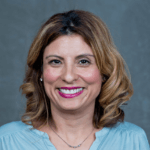 Sherin joined CHPC’s Southern California team in 2016. As a Senior Housing Finance Consultant, she provides financial consulting, technical assistance, and training to our nonprofit and government clients. Prior to joining CHPC, Sherin was an underwriter with Chase Community Development Banking in New York City and Los Angeles, where she underwrote over $200 million in construction and permanent loans, financing over 2,350 units of affordable housing in six states. As a Housing Fellow with New York City’s Department of Housing Preservation and Development, Sherin created a database and methodologies to track funding sources and development outcomes of then-mayor Bloomberg’s New Housing Marketplace Plan. With the NYC Housing Development Corporation, she helped to close construction financing on one of the first HUD RAD/IRP conversions in the nation. Sherin earned a Master of Science in Urban Public Policy Analysis and Management from the Milano School of International Affairs, Management, and Urban Policy (The New School, NYC) and a Bachelor of Fine Arts in Stage Management from the University of Illinois Urbana-Champaign. Deanna joined CHPC in 2015. As Housing Finance Consultant she provides financial consulting, technical assistance and training to our nonprofit and government clients throughout Southern California. Prior to joining CHPC, Deanna developed low-income housing as Senior Project Manager for A Community of Friends where she managed the development of permanent supportive housing projects serving special-needs populations utilizing Low Income Housing Tax Credits, tax-exempt bonds, and various federal and local financing programs. Deanna is knowledgeable in the use of project-based operating subsidies, including project-based Section 8 and Shelter Plus Care. Deanna is also experienced with at-risk preservation and secondary market securitizations. Throughout her career, Deanna has been involved in the development of approximately 1,300 units of affordable housing totaling approximately $150 million in financing. 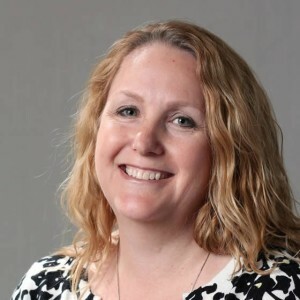 Deanna holds a Bachelor’s Degree in Business Administration in Finance from James Madison University, Harrisonburg, VA. She has completed the LISC Advanced Housing Development Training Institute and is certified as a LEED Green Associate. My joined CHPC in 2018. Prior to CHPC, My was a Senior Finance and Project Manager at TNDC, and a Senior Program Director at Enterprise Community Partners. She has advised dozens of nonprofit housing organizations on issues from asset management to financial sustainability. My earned a Juris Doctor from the UCLA School of Law, and a B.A. from the University of California, Berkeley. She serves on the board of Family Bridges. Samantha joined CHPC in September 2018. As Operations Associate, Samantha provides operational and administrative support to the organization through various functions including general office management of our San Francisco location. Prior to joining CHPC, Samantha worked in a variety of operations management and customer service roles around the Bay Area and is excited to apply her skills in this new setting. Samantha received her B.A. in Psychology with a minor in Linguistics from the University of Vermont. Greg Chin joined CHPC in 2008. As Senior Housing Finance Consultant / Central Valley Director, Greg provides financial consulting assistance and training to CHPC’s government and nonprofit clients. He has more than 20 years of experience in affordable housing finance and development. 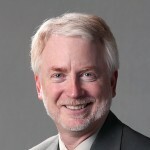 Greg has assisted numerous housing developers, cities, and counties as a consultant on affordable housing projects that included financing with Low Income Housing Tax Credits, tax-exempt bonds, redevelopment agency funds, HOME funds, the Federal Home Loan Bank Affordable Housing Program, and other programs. Greg has also assisted public agencies with the creation of affordable housing programs and policies, including inclusionary housing programs and commercial linkage fees that benefit affordable housing. Greg received a Master of Public Policy from the Graduate School of Public Policy at the University of California, Berkeley, and a Bachelor of Arts in Economics from the University of California, Berkeley. Blanca joined CHPC in 2014. As Sustainable Housing Program Director, she develops and runs programs to increase our Southern California partners’ access to energy efficiency and other resources contributing to the long-tern sustainability and preservation of housing affordable to low-income people. 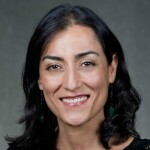 She leads advocacy work involving energy efficiency and renewable programs in the Los Angeles region. She also assists with CHPC’s Green Rental homes Energy Efficiency Network (GREEN) membership and GREEN Newsletter. Blanca recently led an On-Bill Payment (OBR) Financing test pilot in Southern California that incorporated utility incentive programs. In addition, Blanca provides support in implementing the Low Income Weatherization Program for large multifamily buildings statewide as well as CHPC’s ongoing advocacy efforts in sustainable housing. Prior to joining CHPC, Blanca worked at the Community Development Commission of the County of Los Angeles (CDC) for five years where she managed the Notice of Funding Availability (NOFA) for Affordable Multifamily Rental Housing. She also coordinated CDC’s sustainable development initiatives. Prior to joining CDC, Blanca was a Project Manager at East LA Community Corporation. Blanca has more than 10 years of experience in the field of affordable housing. Blanca received a M.A. in Urban Planning from UCLA and a B.A. in International Development Studies and Latin American Literature from UC Berkeley. David joined CHPC in 2015. As Senior Housing Finance Consultant, David provides financial consulting and technical assistance to CHPC’s government and nonprofit clients. Prior to joining CHPC, David served in real estate and community development roles for 14 years with nonprofit affordable housing development organizations in Seattle, San Francisco, Oakland and Boston. As Director of Real Estate with Capitol Hill Housing in Seattle, David oversaw all of the organization’s real estate development activities as well as its neighborhood environmental sustainability programs. David has extensive experience in various community development financing programs including Low Income Housing Tax Credits, New Markets Tax Credit, private placement tax-exempt bonds, HOME/CDBG, the Federal Home Loan Bank Affordable Housing Program, CA MHP, and other programs, with a particular focus on complex, mixed-use transactions and joint-ventures. David received a Juris Doctor from University of Michigan Law School and B.A. from Boston University. He has served on the KeyBank NMTC Advisory Board and is a past executive board member of East Bay Housing Organizations. Diep joined CHPC in 2013. As Director, San Diego Region, she provides financial consulting, technical assistance and training to our nonprofit and government clients throughout Southern California. Diep comes to CHPC with more than 15 years of high-level experience in nonprofit, affordable housing development and management. Prior to joining CHPC, Diep was the Interim Director of Housing Development for Satellite Housing where she was a member of the senior leadership team responsible for managing Satellite’s merger with Affordable Housing Associates as well as overseeing Satellite’s real estate development department. 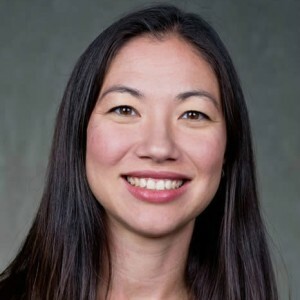 Prior to Satellite, Diep was Director of Housing Development at Tenderloin Neighborhood Development Corporation where she oversaw the development of more than 1,600 affordable homes for San Francisco’s lowest income residents, totaling more than $600 million in financing. In addition, Diep supervised a team of eight project management staff and played an active role in policy development both within TNDC and in the broader nonprofit housing community. Diep was selected as a Northern California Real Estate Woman of Influence by the San Francisco Business Times in 2011 and as a Young Leader in Affordable Housing by the Affordable Housing Finance Magazine in 2008. Diep received a M.A. in Urban Planning and a B.A. in Urban Studies from the University of California, Los Angeles. Chad Horsford joined the California Housing Partnership in 2018. Chad has worked in the affordable housing field for over four years, first in acquisitions at Abode Communities and then in project management at PATH Ventures. During that time, he has contributed to the acquisition and financing of over 500 units of affordable housing throughout the Southern California region. Chad has experience working with a variety of federal and local funding sources, including Low Income Housing Tax Credits, HUD Section 202 financing, AHSC, IIG, and LA City and Country funding sources. In his acquisitions role, Chad analyzed and structured acquisition/rehab and new construction opportunities across the State. Prior to working in affordable housing development, he worked at the Program for Environmental and Regional Equity where he used data analysis to support social movement research on equity, immigration, and environmental justice issues. Chad earned his Masters in Urban and Regional Planning from UCLA with a concentration in Community Economic Development and Housing, and holds a B.A. in Sociology and Public Policy Analysis from Pomona College. Amanda joined CHPC in 2013. As the Operations Manager, Amanda administers org-wide operational and administrative functions in finance, human resources and technology. Amanda transitioned into her current role after working as CHPC’s Sustainable Housing Program Associate for one year. In her previous role, Amanda worked to increase the effectiveness of and access to existing energy efficiency programs for low-income rental housing through her management of our Green Rental home Energy Efficiency Network (GREEN). Prior to joining CHPC, Amanda worked as the Project Assistant for four years at Satellite Affordable Housing Associates (SAHA). During Amanda’s time with SAHA, she provided support for the development of more than 28 affordable housing communities. Amanda received her B.S. in Business Administration with a concentration in management from San Francisco State University. Laura Kobler joined CHPC in 2003. As Director, Sacramento Region she provides development and financial technical assistance and training opportunities to nonprofit corporations and public agencies throughout Northern California. Previously, Laura served as the Director of Housing Development for Sacramento Mutual Housing Association (SMHA) (renamed, Mutual Housing of California), where she oversaw the organization’s development of new rental housing and acquisition and rehabilitation of existing properties. Prior to joining SMHA, Laura was Housing Program Manager and Project Manager at Rural California Housing Corporation (now part of Mercy Housing California), where she was responsible for the development of 27 multi- and single-family affordable housing developments. With more than 25 years of experience, Laura brings particular expertise in the development of mutual and rental housing and the regulations governing the competition for Low Income Housing Tax Credits. She is the Vice Chair of the California Coalition for Rural Housing and the past chair of the Sacramento Reinvestment Committee. 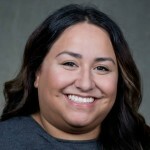 Laura received a Bachelor of Arts in English from California State University, Sacramento, and is a graduate of the LISC Housing Development Training Institute. In her dual role as Director of Training, Laura is now the lead trainer for the LISC Housing Development Training Institute. Srinidhi Sampath Kumar joined CHPC in July 2018. As Sustainable Housing Program Manager, Srinidhi provides information to our partners about the new $1 billion SOMAH program as well as new funding available through the Low-Income Weatherization Program and other financing options. Prior to joining CHPC, Srinidhi worked as customer programs specialist with Marin Clean Energy in San Rafael where she spearheaded the Low-Income Families and Tenants (LIFT) project. She worked with the UN Special Rapporteur for Water and Sanitation to identify challenges in implementing the human right to water and sanitation in Lagos, Nigeria and Cape Town, South Africa. She has also consulted the World Bank on their Water Scarce Cities initiative in the Middle East and North Africa region. Srinidhi received her Master’s of City Planning from the University of California, Berkeley and her B.A. in Economics from Stella Maris College. Lauren Maddock joined the California Housing Partnership in 2018. Prior to joining the Partnership, Lauren worked for 13 years at Mercy Housing California in a variety of roles, most recently as a Senior Project Developer specializing in the re-syndication of Mercy Housing’s existing portfolio. Prior to that, she was the Director of Asset Management for Mercy’s California portfolio encompassing 130 properties representing nearly 8,500 affordable units where she oversaw a team of five Asset Managers across the state. In this role, Lauren became a specialist in negotiating the buy-out of Low Income Housing Tax Credit investors in 18 transactions. She has extensive experience evaluating and developing strategies for older asset portfolios and has direct experience with a wide range of affordable housing finance tools including LIHTCs, tax-exempt bonds, and virtually all public funding programs administered at the local, state, and federal levels. Lauren is a frequent conference speaker and has presented on a variety of topics including portfolio analysis and management, Year 15 investor exits, re-syndications, and occupied rehabilitation and relocation strategies. Lauren received a Master’s of Nonprofit Administration from the University of San Francisco School of Management and a B.A. in Archaeology with a minor in Earth Science from Boston University. She serves on the Community Housing Partnership Board of Directors and was appointed to the Richmond Rent Board in 2016. 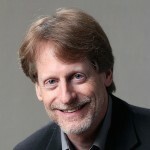 Richard Mandel has been with CHPC since 1990. As Director of Financial Consulting, he oversees CHPC’s staff of 13 financial consultants, and provides direct technical assistance and training to nonprofit and local governmental entities in affordable housing finance. Richard has particular expertise in structuring financing packages for projects utilizing Low Income Housing Tax Credits, tax-exempt bonds, State of California HCD Programs, Section 8 project-based assistance, Affordable Housing Program (AHP), and other state and local housing programs. He has assisted nonprofits in the financing of thousands of apartments, including new construction and acquisition/rehabilitation projects serving families, seniors, special needs and other populations. Richard has spoken at numerous conferences and workshops on topics including Low-Income Housing Tax Credit syndication, multifamily lending issues, preservation of federally assisted housing, and other topics. He has conducted a range of trainings on related issues. Richard served as Chair of the Preservation Working Group of the Nonprofit Housing Association of Northern California, and remains active in housing finance technical and policy issues. Prior to joining CHPC, Richard was a Project Manager with the Mid-Peninsula Housing Coalition, a major nonprofit development corporation. Richard received a Master of City Planning degree from the University of California at Berkeley. Chris joined CHPC in 2013. As Director of Operations, Chris oversees all operational and administrative functions including finance, human resources, technology, communications, and fundraising. 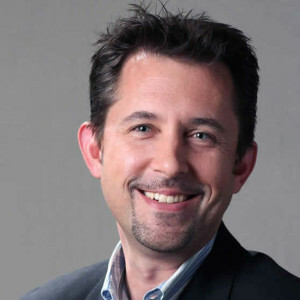 Prior to joining CHPC, Chris managed marketing communications for a solar development company in Seattle and worked with a variety of nonprofit organizations on fundraising and communications strategy. Chris received a Master of Business Administration and a Master of Public Administration with an emphasis in nonprofit management from the University of Washington in 2011, and a B.S. in Journalism from Boston University in 2004. She also holds a Certificate in Fundraising Management from Indiana University. Danielle joined the California Housing Partnership in January 2016. As Preservation & Data Manager, Danielle is responsible for managing CHPC’s Preservation Database, providing technical assistance to affordable housing developers, jurisdictions, and government agencies, and supporting CHPC’s advocacy efforts through data analysis and GIS mapping. Prior to joining CHPC, Danielle worked at the Non-Profit Housing Association of Northern California (NPH) where she collected data on existing financing mechanisms and policies for affordable housing, performed GIS analysis, and assisted in legislative advocacy efforts. Danielle received a M.A. in Geography from San Francisco State University in 2016, and received a B.A. in Sociology from the University of California, Santa Cruz in 2013. Claire Parisa joined CHPC in April 2018. Prior to joining CHPC, Claire worked as a project manager with the Tenderloin Neighborhood Development Corporation (TNDC) for three years. There, Claire contributed to the development of four different developments in San Francisco totaling over 500 units. She has experience with Low-Income Housing Tax Credits, tax-exempt bond financing, State (MHP and AHSC), HUD (project-based Section 8, Shelter Plus Care, and Section 811), and local San Francisco financing sources. Before turning to domestic affordable housing development, Claire worked with self-built communities across Latin America on housing rights and economic development. Claire earned her Master’s in City Planning (MCP) from the Massachusetts Institute of Technology (MIT). She also holds a B.A. in Urban Studies and a B.S. in Society & Environment from the University of California, Berkeley. Claire currently serves on NPH’s Emerging Leaders Peer Network (ELPN) Steering Committee as a Professional Development Subcommittee Co-Chair. Nicole joined CHPC’s Southern California team in 2015 as a Senior Housing Finance Consultant, bringing with her 15 years of direct affordable housing real estate development and finance experience. She has worked on a variety and range of developments including new construction, acquisition/rehab, gut rehab, mixed-use, mobile home park relocation and replacement housing, and multifamily conversion of a historic building. Nicole has worked in both non-profit and for-profit affordable housing development and brings intricate knowledge of local, state, and federal financing mechanisms along with development and construction processes. Before joining CHPC, Nicole worked as a Project Manager for Cabrillo Economic Development Corporation and oversaw the development of various non-rural, rural and farmworker family developments in both Ventura and Santa Barbara County. Through her development work at CEDC and prior work experience she has worked on developments serving Special Needs Populations, Seniors, Families, and Farmworkers. She has also worked closely with local jurisdictions in Ventura County to implement affordable housing “friendly” zoning policies and ordinances and has worked extensively on reviewing and providing input for local Housing Elements. Nicole received a Masters of Arts in Urban Planning and Latin American Studies from the University of California, Los Angeles and a Bachelor of Arts in History and Latin American Studies from the University of California, Los Angeles. Devin Oliver joined CHPC in June 2018. As the Sustainable Housing Program Fellow, Devin will help to inform our partners about opportunities and financing options with the SOMAH (Solar on Multifamily Affordable Housing) program and LIWP (Low-Income Weatherization Program). This role enables Devin to integrate both of his commitments to fair housing advocacy and environmental justice. Prior to joining CHPC, Devin worked as a community planner in Houston, Texas where he provided technical support and conducted outreach for Texas Housers, a community lawyering project around fair housing and environmental justice issues. In addition to his training as a geographer and urban planner, Devin is a hobby photographer, gardener and artist. He is a native Midwesterner, originally from Cleveland, Ohio. Devin received his Master of Science in Community and Regional Planning, and Master of Arts in Latin American Studies from the University of Texas at Austin. He received his B.A. in Geography from The Ohio State University. Dan joined CHPC in 2016. As Senior Policy Analyst, Dan is responsible for policy and research initiatives which aim to expand the resources for affordable housing preservation and development in California, as well as increase their efficiency and social impact. Prior to joining CHPC, Dan worked at the Low Income Investment Fund (LIIF), where he managed a variety of strategic initiatives—such as around impact assessment, and the intersection of health care and housing—and contributed to program development and policy leadership. Prior to LIIF, he helped design and manage low-income housing programs at the state and local level, and worked as an urban planning consultant in the San Francisco Bay Area. Dan earned a Master in City Planning degree from the Massachusetts Institute of Technology (MIT) in 2013, and a BA in Urban Studies from Columbia University in 2007. Lindsay joined CHPC in May 2018. As Data & Policy Analyst, Lindsay supports CHPC’s affordable housing preservation and policy advocacy efforts through data analysis, program evaluation and GIS mapping. 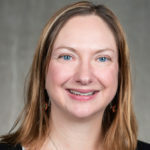 Prior to joining CHPC, Lindsay worked at the San Francisco Mayor’s Office of Housing & Community Development (MOHCD), where she conducted a program evaluation of the City’s affordable housing rental and ownership programs as a Graduate Student Researcher. Before MOHCD, Lindsay worked as a Program Manager at a Chicago nonprofit, Benevolent, where she managed several strategic initiatives – including new program pilots and technology development – and supported community partnerships with national and local nonprofits, government agencies and foundations. Lindsay earned a Master in Public Policy from the Goldman School of Public Policy, University of California, Berkeley in 2018 and a B.A. in Anthropology and Global Studies from the University of North Carolina, Chapel Hill in 2013. Meg McGraw-Scherer joined CHPC in 2000 and has more than 19 years of experience in affordable housing finance and development. As Senior Housing Finance Consultant / Peninsula Director, she provides financial consulting and technical assistance to nonprofit corporations and public agencies in Northern California. Meg has expertise in structuring financing packages for projects utilizing Low Income Housing Tax Credits, tax-exempt bonds, as well as multiple public funding programs administered at the local, state, and federal level. She has helped her nonprofit clients finance new construction and acquisition/rehabilitation projects serving families, seniors, and special needs populations. Prior to joining CHPC, Meg worked for two years in the Los Angeles office of the National Equity Fund, a nonprofit tax-credit syndication organization that provides millions of dollars in tax-credit equity to projects throughout the country. There she worked as an underwriter on Low Income Housing Tax Credit projects sited in Seattle and the San Francisco Bay Area. Prior to the National Equity Fund, Meg spent over three years at the King County Housing Authority in Seattle as an intern, Housing Programs Coordinator, and Housing Developer in the Housing Authority’s Planning and Development Departments where she worked on the development of projects using Low Income Housing Tax Credits, tax-exempt bonds, and various federal and local financing programs. Meg received a Masters of Public Administration from the University of Washington in Seattle and a Bachelor’s degree from Boston College. She is currently serving as a member of the City of Menlo Park’s Housing Commission and as a Board Member of the Housing Leadership Council of San Mateo County. As President & CEO of the California Housing Partnership, Matt plays a leadership role in in shaping state and federal housing-related legislation and regulations to expand the resources to preserve and create affordable housing for the state’s lowest income residents. Matt has worked in the development, planning, and financing of affordable housing for more than 25 years in both the private and public sectors including eight years with MidPen Housing, five years with the San Francisco Redevelopment Agency and the last 15 years leading the California Housing Partnership. Matt was appointed to the San Francisco Housing Authority Commission by Mayors Newsom and Lee, is a past President of the Board of Housing California, a current member of the Board of the NonProfit Housing (NPH) Association of Northern California and an active participant in the National Affordable Housing Preservation Working Group. In recognition of his leadership in the field, the Southern California Association of NonProfit Housing named Matt the 2010 Advocate of the Year, the NonProfit Housing Association of Northern California awarded Matt its 2013 Inspirational Leadership Award, and the California Housing Consortium admitted Matt and to its nonprofit Housing Hall of Fame in May 2013. Matt received a Master’s Degree in Public Policy from Harvard’s Kennedy School of Government and a Bachelor’s Degree from Stanford University. He is a recipient of the Harvard’s Robert F. Kennedy Award for Public Service and Stanford’s Lloyd W. Dinkelspiel award for Outstanding Public Service. Zorica rejoined CHPC in 2017. As Senior Housing Finance Consultant / Deputy Director of Training, Zorica provides financial consulting, technical assistance and training to our nonprofit and government clients throughout California. Prior to rejoining CHPC, Zorica spent two years as a Project Manager of Affordable Housing Tax Credit Investments with U. S. Bancorp Community Development Corporation where she underwrote and closed $157 million in Low Income Housing and Historic Tax Credit investments. Zorica has extensive experience with Low-Income Housing Tax Credit financing, as well as a range of federal, state, and local programs, including local rental/operating subsidies. Zorica has directly contributed to the development or rehabilitation of over 1,700 units of affordable housing totaling more than $470 million in development costs. Prior to her previous five-year tenure with the California Housing Partnership, Zorica worked as a Senior Project Manager with A Community of Friends where she managed the development of 250 supportive housing units and $115 million in financing. Zorica holds a Master’s degree in Planning with a specialization in Housing and Community Development from UCLA. Stephanie joined CHPC in 2016. As Policy Director, Stephanie leads policy initiatives and works with coalition partners to improve and expand sustainable energy and water programs and resources for affordable housing owners and renters. Before joining CHPC, Stephanie led California policy and strategy initiatives for the Center for Sustainable Energy. She worked with diverse stakeholders to identify barriers and develop solutions for empowering all Californians to participate in the benefits of the clean energy economy. Stephanie has also served as the Policy Director of the Clean Coalition, where she advanced policies to support Solar For All and resilient community microgrids. Stephanie previously practiced real estate finance law as an associate attorney with Fried Frank in New York and Cox Castle & Nicholson in San Francisco. Stephanie earned a Juris Doctor from the University of Michigan Law School and a Bachelor of Arts in Political Science from the University of Michigan. Mengxin Zhou joined the California Housing Partnership in 2017. As a Housing Finance Consultant, she provides financial consulting, technical assistance and training to our nonprofit and government clients throughout Northern California. Prior to joining CHPC, Mengxin worked for EAH Housing as a Project Manager, where she worked on complex Low-Income Housing Tax Credit, tax-exempt bond, and HUD-assisted financing and development projects, enabling the extensive rehabilitation of homes for over 750 residents. 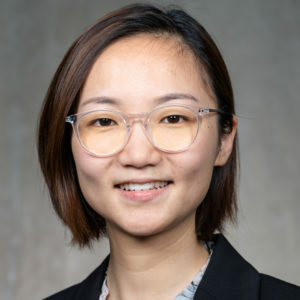 Prior to joining EAH, Mengxin was an acquisitions analyst for CREA, Inc., a national tax credit syndicator specializing in federal and state Low-Income Housing Tax Credits and Historic Tax Credits investment. During her three years there, she worked closely with other members of the acquisitions team and underwriting team to identify and close 12 equity investments totaling $98 million in tax credits in eight different states, including California. Mengxin holds a Master in Urban Planning, with a concentration in Housing and Neighborhood Development from Harvard University, and earned a Bachelor of Business Administration as an Outstanding Graduate from Renmin University of China.